you never make enough progress and it becomes a chronic source of overwhelming stress. be grateful for your growth. give you an example to further help you create your own roadmap. Step 1: Define The Big Picture This is the mission and vision of your goal. a compelling reason for going on this journey. the undesired outcome you'll get if you don't follow through. try not to keep them too frequent or too infrequent. ask people who have reached the goals you want to reach. the limiting beliefs holding you back. and list them down. The intention is to mentally (or physically) prepare for them. you can reflect upon in step 7.
see them. Accept them. Love them. Use them. next actions or the desired outcomes as required. milestones reached and see the big picture so you don't get lost in the drama of life. Like tracking, you can use a note-taking app or good old pen-and-paper for the review. But make sure you save and record them in one place so you can always look back. That's all. Rinse and repeat for each focus area in your life. 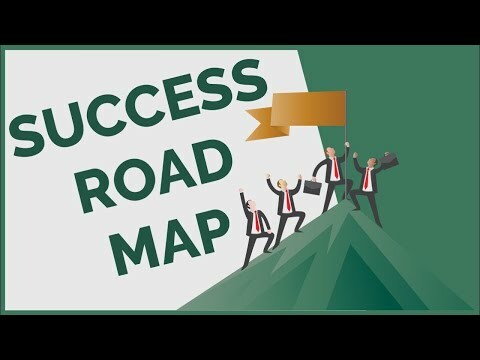 to download a template that you can fill to create your success roadmap. I'll see you there. Until next time, keep designing your epic life.